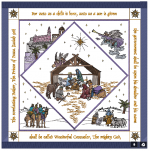 Join us for a fabulous event with Nanc Christopherson from Handi Quilter! 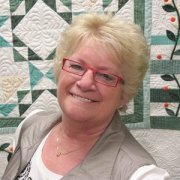 Nanc will be bringing her talent for memory quilts and freehand quilting and teaching us all about the Pro Stitcher and the Art and Stitch software. In this four day event you will learn machine basics, thread and needle tension, rulers and pantos, freehand techniques (including feathers), backgrounds, borders, and blocks. Two days will be spent on freehand and two days will be spent on working with the Pro Stitcher and Art and Stitch. Click on the dates to the left for details!